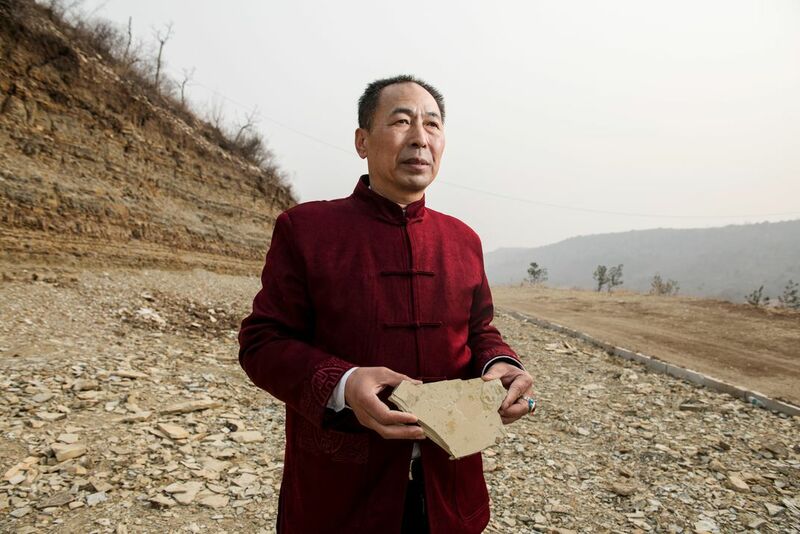 Not long ago in northeastern China, I found myself being driven in a Mercedes Benz SUV down a winding country road, trailed by a small motorcade of local dignitaries, past flat-roofed brick farmhouses and fields full of corn stubble. Abruptly, we arrived at our destination, and my guide, a stylishly-dressed woman named Fangfang, slipped out of her high heels into fieldwork gear: pink sneakers with bright blue pompoms on the Velcro straps. We were visiting a dinosaur dig, but it was also a museum in the early stages of construction—steel beams riveted together to form oddly birdlike layers, stacked one atop another, climbing a hillside in two parallel rows. At the top, a central pavilion connecting the two rows looked like a bird about to take off. The new museum didn’t have a definite name yet, though it is due to open sometime next year. But it was unmistakably huge. It was also expensive (Fanfang thought $28 million for construction alone). And it was in the middle of nowhere. We were in a rural village called Sihetun, in the western part of Liaoning Province. And in the exuberant fashion of a lot of modern development in China, the new museum is going up in anticipation of visitors arriving by speed train from Beijing, 250 miles to the southwest, except that the speed train hasn’t been built yet. More sensibly, the new museum is going up to celebrate the epicenter of modern paleontological discovery, an area that is at least as rich in fossils, and in some ways as wild, as the American West during the great era of dinosaur discovery in the late nineteenth century. 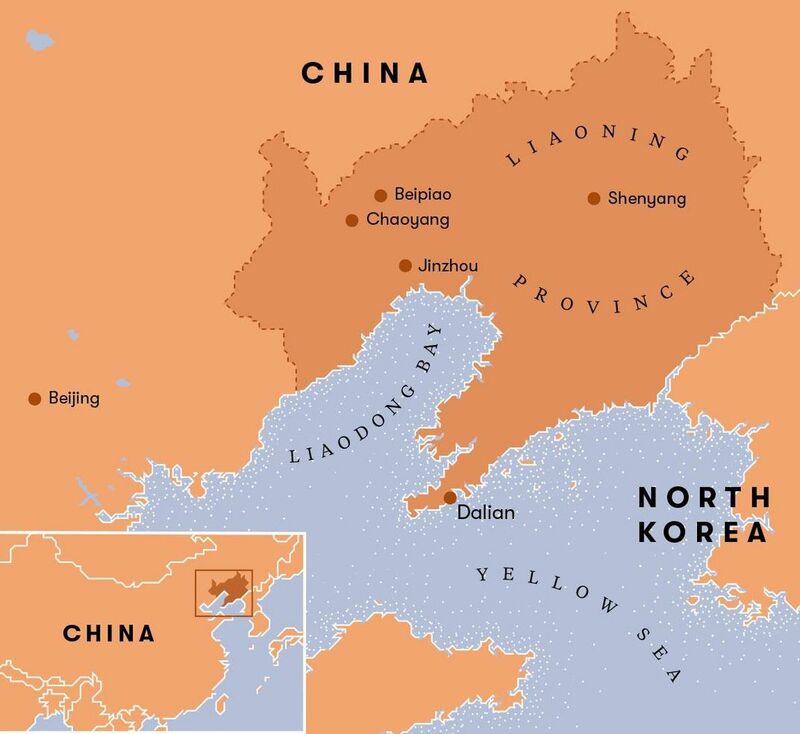 Liaoning Province (pronounced “lee-ow-NING”) is an area about the size of Michigan, sandwiched between Inner Mongolia and North Korea. It used to be known mainly for coal, corn, and decrepit factories, which have given it a reputation as “China’s rust belt.” That’s put it off the usual itinerary for the average tourist. 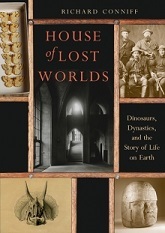 But developments over the past quarter-century have made it a point of pilgrimage for people interested in fossils. 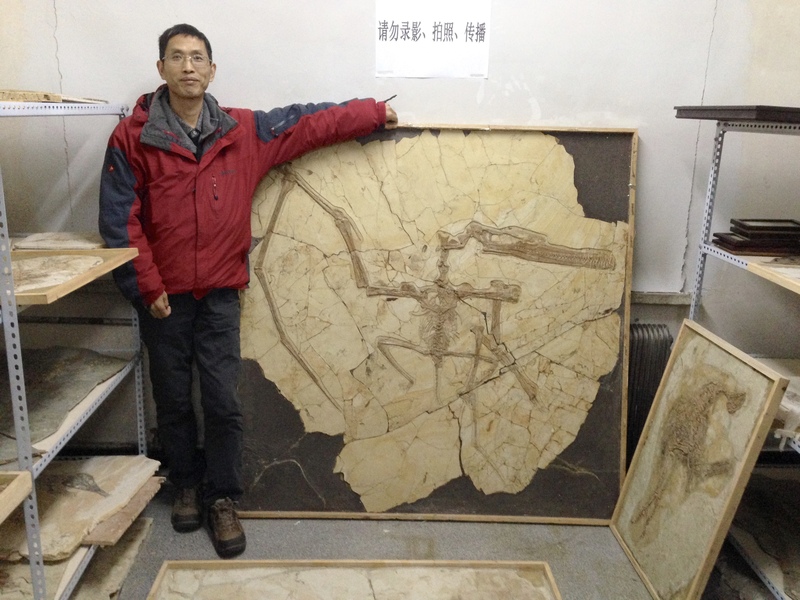 In the mid-1990s, on that hillside in Sihetun, a farmer planting a tree stumbled onto the world’s first known feathered dinosaur, a creature now named Sinosauropteryx (meaning “the China dragon wing”). Actually, the farmer found two halves of a slab, each preserving a mirror image of this dinosaur. In the freebooting spirit that has characterized the fossil trade in the area ever since, he promptly sold half to one unwitting museum, and half to another. It was the start of a fossil gold rush. It’s a little embarrassing to admit this, as a wildlife writer, but I didn’t used to think fossils mattered all that much. I wanted to know what was happening to wildlife right now. And fossils were so very then, so 66 million years ago.The fossil that woke me from my ignorance is named Deinonychus. If that sounds like too much of a mouthful, too much like science, just bear with me for a minute: This story comes with a Jurassic Park plot twist. It also involves correcting a mistake I recently repeated in print. 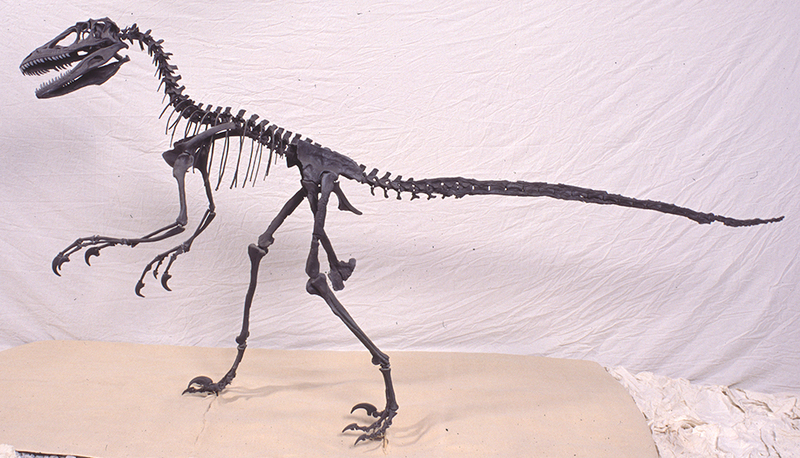 The Deinonychus story began one afternoon in late August 1964, near Bridger, Montana. John Ostrom, a paleontologist at the Yale Peabody Museum of Natural History, was standing with an assistant on the flank of a conical hill and considering sites for the following summer’s fieldwork—when the answer appeared before them in the form of a large claw eroding out of the slope just below. They soon unearthed an astonishing foot: Two of the three toes had ordinary claws. 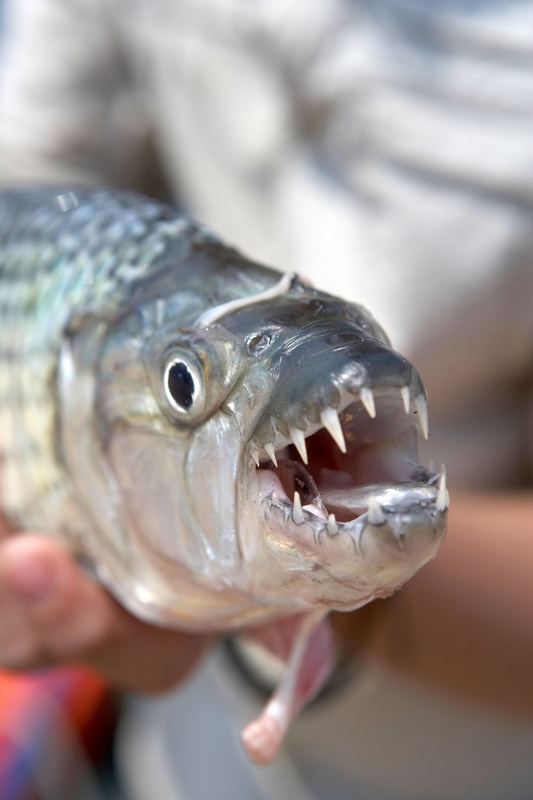 But from the innermost toe, a sharp claw, sickle shaped and 4.7 inches in length, curved murderously up and out. 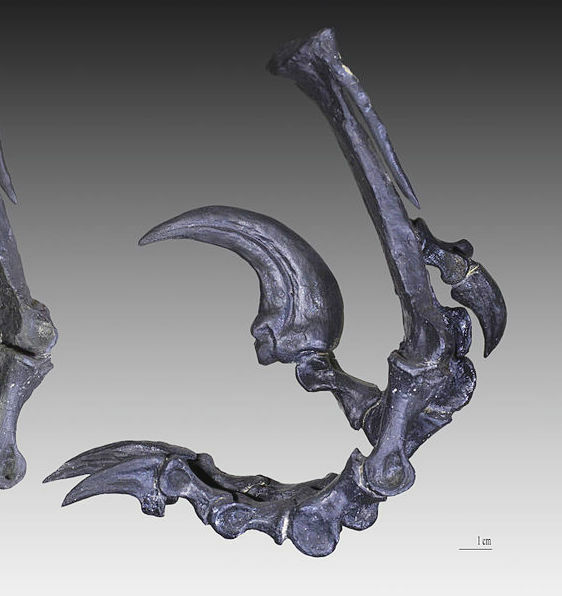 Ostrom gave the new species the name Deinonychus because it means “terrible claw” in Greek. It’s sometimes said that we are loving nature to death—with our sightseeing traffic jams to gawk at bison loitering in Yellowstone National Park, and our safari vehicles huddled together to watch lions yawn in the Masai Mara. But few people take their affection for nature to such a destructive extreme as the bird lovers of Indonesia and Malaysia. 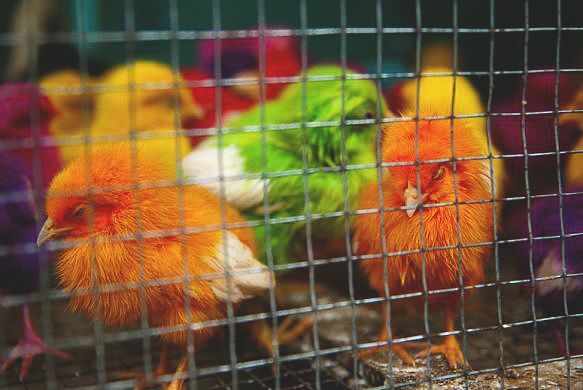 Roughly 35 percent of homes in that Southeast Asian region keep birds as pets. People love the sound of their singing and build them elaborately carved mahogany cages. But they prefer the birds to be wild caught, and the more unusual the better. The result, according to a new study in the journal Biological Conservation, is that wild bird populations are being drastically reduced, and some species are probably being driven into extinction. The region is already notorious for hacking down huge swaths of old-growth forest for lumber, or to make room for palm oil and rubber plantations. But the pet trade seems to be almost as destructive to bird life, finishing off what deforestation has merely begun. 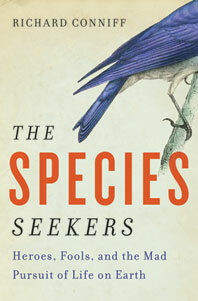 Even birds that might have survived in secondary forests or on agricultural lands are vanishing. Princeton University’s Bert Harris, lead author of the new study, focused on bird markets in Medan, Sumatra, “one of the primary hubs of the Asian wildlife trade,” with more than 200 bird species typically for sale. In a region with almost no field studies to monitor bird populations in the wild, Harris and his coauthors theorized that recording price and volume for different bird species in the marketplace could serve as a quick-and-dirty tool for detecting population trends in the wild. A flock of Northern bald ibis over the Adriatic Sea during their migration. When flying in formation, the lead bird does the aerodynamic heavy lifting, and everybody else benefits by following in the aerodynamically sheltered path of another bird. So why does the lead bird do it? And do they take turns? 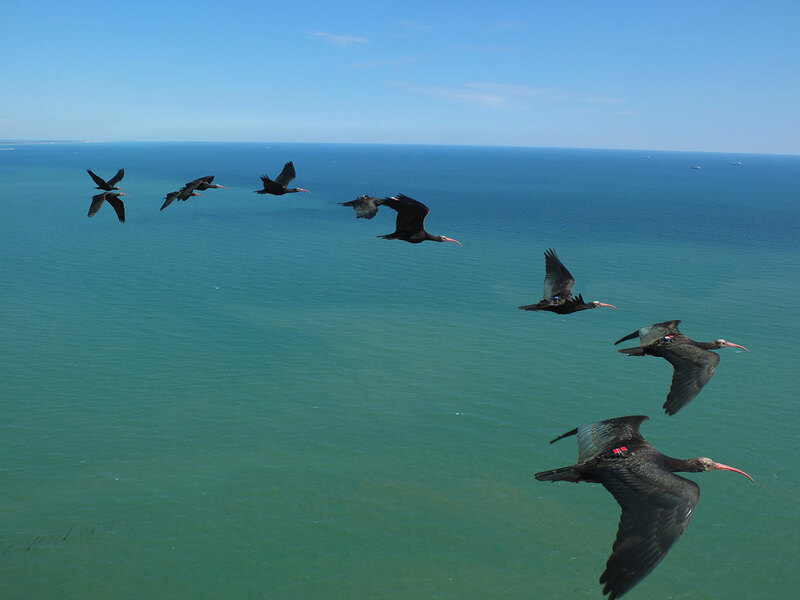 A new study of Northern Bald Ibises tests that question with multiple observations of migrating flocks. Once upon a time I had a cat named Lucky, and the name fit. She turned up on our doorstep as a stray and stayed with us for 10 years, until her rather gruesome demise. (More about that later.) I liked her because she was a free spirit, and a survivor, going out for two, three, even five days, in all seasons. She’d show up when it suited her, waiting in the dark before dawn till I came downstairs and turned on my desk lamp. Then she’d make her presence known by rising up on her hind legs and gently scratching with her forepaws on my window. Sometimes, without stopping to say hello, she’d leave us tattered offerings, with little starbursts of coagulated blood, on the front walk. The birds were disturbing, the moles and deer mice not so much. 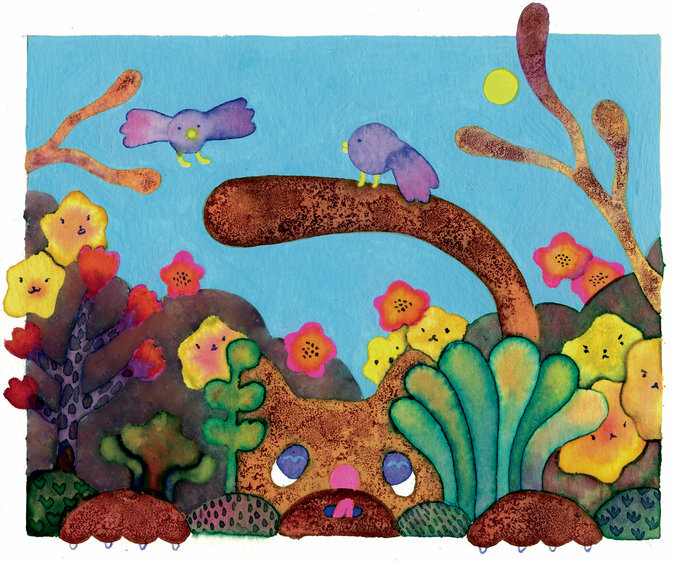 Jane, the older woman who lived two doors down, mentioned that Lucky sometimes lurked near her bird feeder, but she didn’t seem to think much of it, and neither did we. We put a bell on Lucky, but it didn’t last a week before she shed it in some bush. If all this sounds lackadaisical, particularly in someone who writes about wildlife, I should note that Lucky, who died in 2008, was our last outdoor cat. We were about to become early adopters in the trend that is beginning to make outdoor cats as socially unacceptable as smoking cigarettes in the office, or leaving dog droppings on the sidewalk. O.k., in recent months we’ve seen an eagle tackling a saiga deer, and an Australian wedge-tailed eagle carrying off a fox. Now comes proof that, while birds may be dinosaurs once removed, even a fish will now and then take one down. The waters of the African lake seem calm and peaceful. A few migrant swallows flit near the surface. 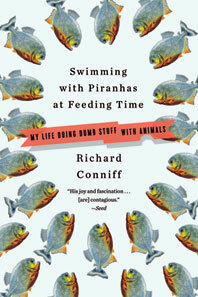 Suddenly, leaping from the water, a fish grabs one of the famously speedy birds straight out of the air. “The whole action of jumping and catching the swallow in flight happens so incredibly quickly that after we first saw it, it took all of us a while to really fully comprehend what we had just seen,” says Nico Smit, director of the Unit for Environmental Sciences and Management at North-West University in Potchefstroom, South Africa. After the images did sink in, he adds, “the first reaction was one of pure joy, because we realized that we were spectators to something really incredible and unique”. Read the full account here. A few years ago in Baltimore County, Maryland, environmental staffers were reviewing a tree-planting proposal from a local citizens group. It called for five trees each of 13 different species, as if in an arboretum, on the grounds of an elementary school in a densely-populated neighborhood. It seemed like a worthy plan, both for the volunteer effort and the intended environmental and beautification benefits. Then someone pointed out that there were hardly any oaks on the list, even though the 22 oak species native to the area are known to be wildlife-friendly. Local foresters, much less local wildlife, could barely recognize some of the species that were being proposed instead. As if to drive home the logical inconsistencies, both the school and the neighborhood were named after oak trees. “Why are we doing this?” someone wondered. That sort of epiphany has been happening a lot lately in metropolitan areas around the world, as people come to terms with both the dramatic increase in urbanized areas and the corresponding loss of wildlife. The portion of the planet characterized as urban is on track to triple from 2000 to 2030—that is, we are already almost halfway there. Meanwhile, 17 percent of the 800 or so North American bird species are in decline, and all 20 species on the Audubon Society’s list of “common birds in decline” have lost at least half their population since 1970. Those kinds of stark numbers, repeated around the world, have made it disturbingly evident that it’s not enough for cities to plant a million trees, preach the gospel of backyard gardens, or build green roofs and smart streets. The trees, shrubs, and flowers in that ostensibly green infrastructure also need to benefit birds, butterflies, and other animals. They need to provide habitat for breeding, shelter, and food. 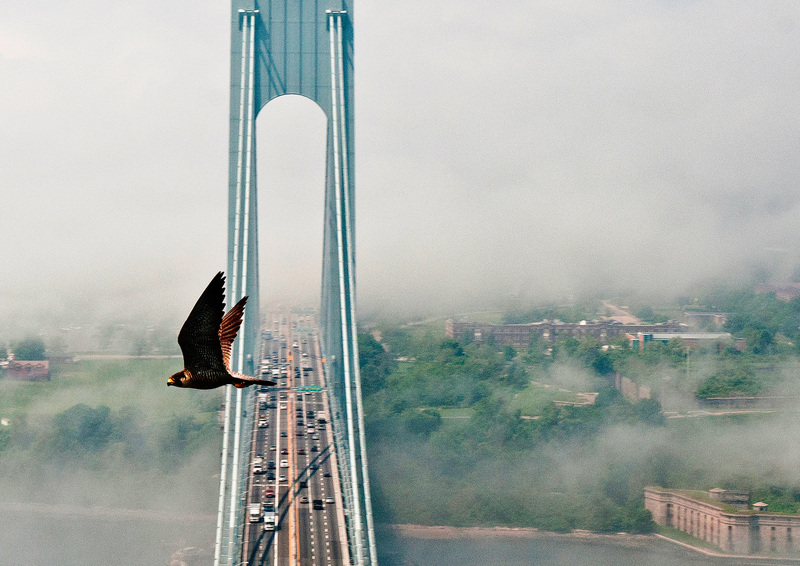 Where possible, the habitat needs to be arranged in corridors where wildlife can safely travel.